Leading authority on EU Law, Dr Gunnar Beck (SOAS), writes for Policy Exchange’s Judicial Power Project to explain why, as a matter of law, Britain can leave the EU without any liability for any allegedly outstanding sums under the EU budget. Dr Beck dismantles Helena Kennedy QC’s suggestion in the Guardian last week that the EU Court of Justice should have a role in post-Brexit Britain. The Court of Justice has been “a motor of EU integration”, Dr Beck explains, and cannot be trusted as an impartial adjudicator of any post-Brexit disputes involving the UK. In an article in the Guardian last week, Baroness Kennedy QC adds her influential voice to the current war of words on the UK’s Brexit ‘divorce bill’ and the post-Brexit role of the EU Court of Justice. She broadly supports the EU’s maximalist position based on the assumption that, as she writes, “all the preliminary matters raised by EU leaders involve legal commitments from which we cannot walk away.” From this, she writes, at least two things follow. First, it would be “unlawful” for the United Kingdom “to cut and run without paying a penny in the Brexit settlement.” This claim does not stand up. The EU is currently demanding a figure of around 100bn euros which it says is not final and could rise further. Legally, any liability the UK may have for outstanding financial obligations under the EU budget, and other obligations as an EU member, can only arise on three grounds: as a matter of EU law, international law or domestic law. As a matter of EU law, Article 50 TEU is clear in that it allows the UK to exit from the EU without being liable for outstanding financial obligations under the EU budget, unless a withdrawal agreement is concluded which provides otherwise. This position has wide support and been endorsed, inter alia, in a special report published by the traditionally mildly pro-EU House of Lords European Union Committee. Alternatively, individual EU Member States, or conceivably the EU, may seek to bring a case against the UK for the payment of outstanding liabilities under principles of public international law. Any sum the EU may eventually demand from the UK will be composed almost entirely of items of expenditure under the EU budget agreed under the EU Treaties or EU legislation. However, Article 344 TFEU prohibits EU Member States from submitting the legal interpretation of the EU Treaties or legislation relating to them to a court other than the European Court of Justice (ECJ). Nor do the EU institutions have standing to bring such an action under public international law. For these and other reasons no international court other than the ECJ will have jurisdiction to enforce claims by the EU or its members, whilst the ECJ will cease to have any jurisdiction over the UK from the date the UK leaves the EU unless a withdrawal agreement is agreed which provides for the ongoing jurisdiction of that court. The Prime Minister has already firmly ruled out any such a possibility. Finally, it is exceedingly unlikely that national law in the UK would allow for the enforcement of UK’s financial obligations. The Supreme Court in Miller has made clear that once the UK withdraws from the EU, EU law will cease to be a source of domestic law. It is also clear that whatever its content in the end, the Government’s Great Repeal Bill will not allow the EU or its Member States to sue in the UK courts for outstanding contributions under the EU budget. Secondly, Baroness Kennedy suggests that any free trade agreement between the UK and the EU would require an arbiter to settle disputes, i.e. a supranational court, and that the ultimate jurisdiction of the ECJ and the continued application of EU law would and should be a part of any post-Brexit collaboration between the EU and this country. Not all treaties accept the authority of supranational court to settle disputes, but Kennedy is right that in trade and investment matters, the absence of a disputes settlement mechanism would be impractical because, as she observes, “even the World Trade Organisation has a disputes court.” Kennedy is right too that Norway, Iceland and Liechtenstein, the three non-EU members of the EU-dominated European Economic Area (“EEA”), had to sign up the EFTA Court which extends written EU law and the case law of the ECJ to the EEA, although its three non-EU members do not participate either in EU law-making or the decision-making of the ECJ. This is precisely the reason why Switzerland did not join the EEA, has its own bilateral trade relationship with the EU and refused to accept the jurisdiction of the ECJ. Together with the EU Treaties, the EEA agreement is perhaps the only other recent international treaty which effectively assigns the settlement of inter-party legal disputes to a court which is not even formally independent but effectively a domestic court of one of the parties and, in both cases, authorised only to apply the law of the EU as interpreted by the ECJ. It is almost totally unprecedented for a State which is a party to an international treaty to accept the jurisdiction of a court of the opposite party in adjudicating treaty provisions. Apart from the EU Treaties and the EEA agreement, one would have to go back to the treaties between various European powers and China in the 19th century, under which European citizens were subject to the jurisdiction of extra-territorial courts instead of Chinese jurisdiction. China rightly now condemns these arrangements as “unequal treaties” imposed on them by gunboats. The ECJ was established at the same time as the EU (then the European Economic Community) to settle disputes between the EU’s institutions and its member states and to provide authoritative guidance on the interpretation of the EU Treaties and EU legislation. It has never discharged that function impartially. From the early 1960s it developed a range of principles, such as those of the uniform application and effectiveness of EU law which it then expanded into the general principles of the supremacy and direct effect of EU law over national law. None of these judge-made principles had any basis in the EU Treaties until 2009 when they were included in the Lisbon Treaty as a leftover from the failed EU Constitution drafted by former French president Giscard d’Estaing. The principle of the primacy of EU law is a judicial creation which was recently codified because once a judge-made rule has been applied again and again by the courts and it suits the integrationist agenda of most member states, no one objects to its formal recognition. The general principles of treaty interpretation are laid down in the Vienna Convention on the Laws of Treaties (“VCLT”). Article 31 VCLT assigns a primary importance in treaty interpretation to the ‘ordinary meaning’ of words. It states that treaties shall be interpreted in ‘good faith’ and that their terms should mean what they say unless, according to Art. 32 VCLT, the meaning is ‘ambiguous or obscure.’ The EU is not a signatory to the VCLT (although its member states are) and the ECJ has never regarded itself as bound by its terms. In interpreting EU law the ECJ does not therefore accord the same primacy to the ordinary meaning of words as many other supranational courts including the International Court of Justice or the WTO Appellate Body. Instead the ECJ adopts a flexible approach which allows it to depart from the wording of the EU Treaties or legislation in favour of a teleological, i.e. purposive, interpretation even where the wording of the relevant provision is neither obscure nor ambiguous. Purposive interpretations generally give courts far greater interpretative room for manoeuvre than text-based interpretation. 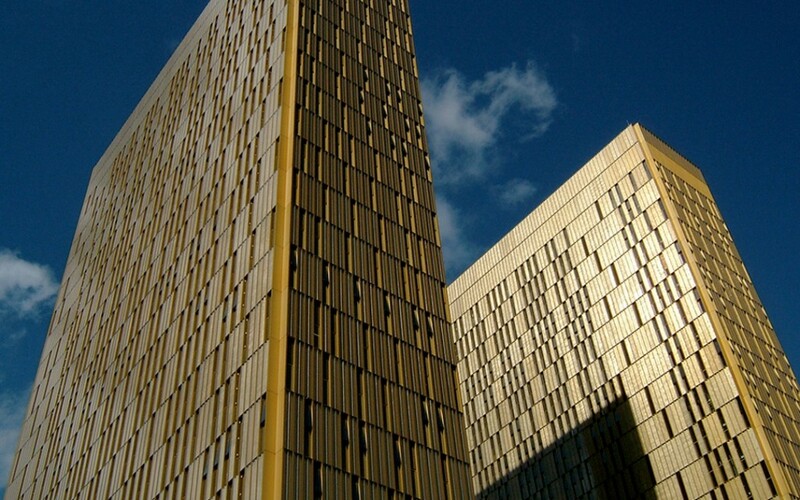 The problem with purposive interpretations of law is that courts, and the ECJ more so than any other, do not confine themselves to purposes written into the documents they are asked to interpret. Depending on one’s perspective, rules may be viewed as serving many different purposes on which the parties do not necessarily agree. Purposes may also conflict with one another, be stated at different levels of abstraction and be either short-term or long-term. Drawing inspiration from its own distinctively integrationist vision of ‘ever closer union’ between the EU’s members, to which the court also refers as the ‘spirit’, i.e. a kind of political holy ghost, of the Treaties, the court has used the purposive approach consistently to resolve legal disputes concerning the distribution of powers between the EU and members in a pro-integrationist manner. In this manner, the court has over time and without reference to the Treaties substantially extended the scope of EU law and established its own judicial oversight over many areas of national law. It has usually done so in the absence of Treaty authority and not infrequently in a departure from clear language in the Treaties or EU legislation. The ECJ was set up to act as an arbiter between the EU and its members but it has never been a real arbiter who applies agreed rules impartially. Instead, it has been a motor of European integration. In theory the powers of the EU are limited by the principle of conferral (Articles 4 and 5 TEU). According to the principle of conferral the EU may only legislate or act in areas where the member states have expressly authorised it to do so. In line with its general interpretative principle in dubio pro communitate the ECJ has effectively neutralised the principle of conferral by introducing the doctrine of implied powers, by consistently adopting an expansive meaning of the conferred powers and by resolving conflicts in overlapping areas of EU and national competences in favour of the scope of EU law. As a result, the scope of EU law is incrementally expanding from one judicial decision to the next. The review of EU legislation for compliance with the principles of conferral and of subsidiarity as well as fundamental rights is one of the central functions of the ECJ, and member states regularly ask the court to do so. With the exception of annulment actions involving EU decisions which are addressed to specific individuals or companies or delegated legislation which do not affect the basic division of competences between member states and the EU, the chances of persuading the court that the EU has exceeded its competences are virtually nil. The ECJ practically never annuls an EU legislative act of general application, and in the only important case where the court did so, the annulled legislation was re-enacted virtually without changes two years later. In contrast to its extremely permissive review of the EU’s interpretation and exercise of its own competences, the ECJ has followed a very robust line in its use of the principles of supremacy and direct effect which the court itself created ex nihilo without treaty-base, to strike down national laws on the grounds of alleged national infringements of EU law in hundreds of cases. The asymmetry in the court’s exercise of its review function is evident too in the radically different meaning it gives to the proportionality requirement. When reviewing national legal acts under derogations from EU law, the court examines whether the national measure has minimum collateral impact on EU law – only then will the national measure not be struck down. By contrast, EU legal acts will be upheld as proportionate unless and until the EU decision-maker has acted manifestly irrationally. The court very rarely takes that view. The court effectively operates two separate standards of judicial review, a light one for all EU measures and an exacting much higher one for national laws allegedly infringing EU laws. Dr Gunnar Beck is Reader in Law at SOAS, University of London.